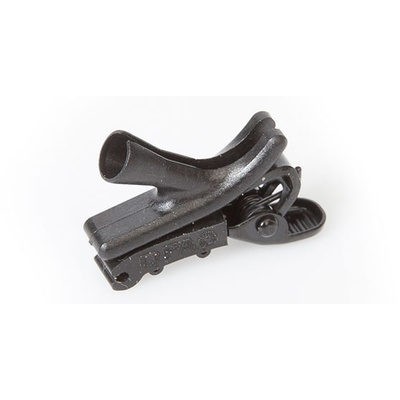 Product #20808 | SKU SCM0017-B | 0.0 (no ratings yet) Thanks for your rating! A microphone holder used with omni-directional microphones. The black SCM0017-B Miniature Microphone Holder from DPA Microphones creates a distance to the capsule to minimize the noise from clothes and fabric, and is prepared for both left and right mounting. This microphone holder is used with omni-directional microphones that pick up the sound perfectly, no matter in which direction the microphone is placed. The rear cable hook controls cable run behind the clothes and improves minimum visual appearance.